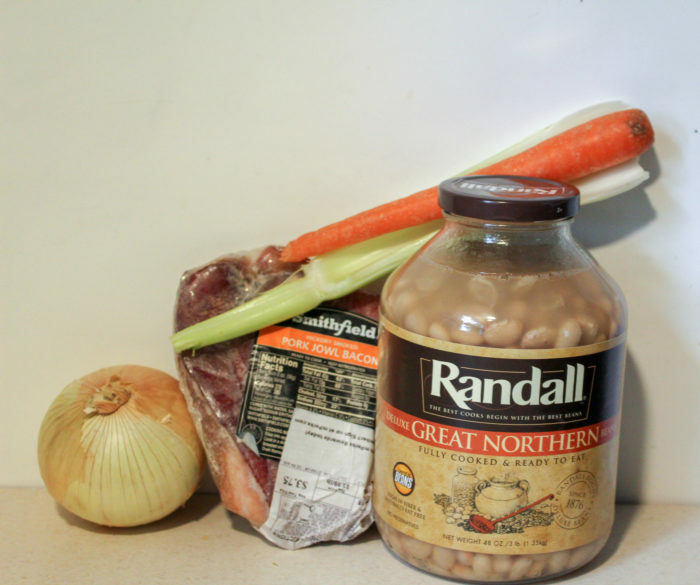 This Instant Pot bean and bacon soup is a super easy bean soup recipe that is perfect for fall or as comfort food. 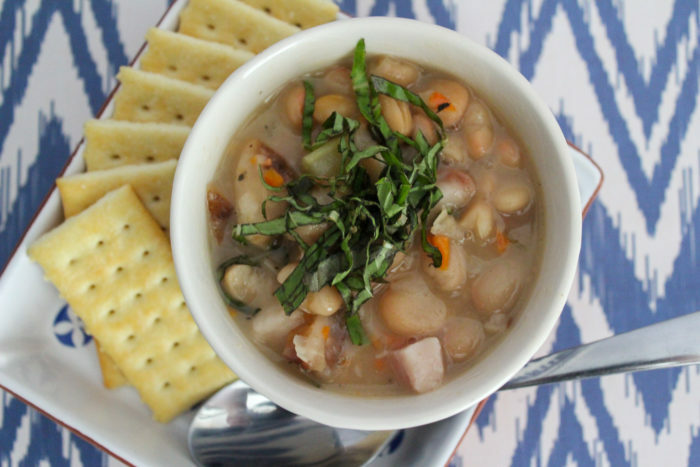 Soup is something the Instant Pot does wells and this bean and bacon soup is no exception. I love soup in the fall and winter. 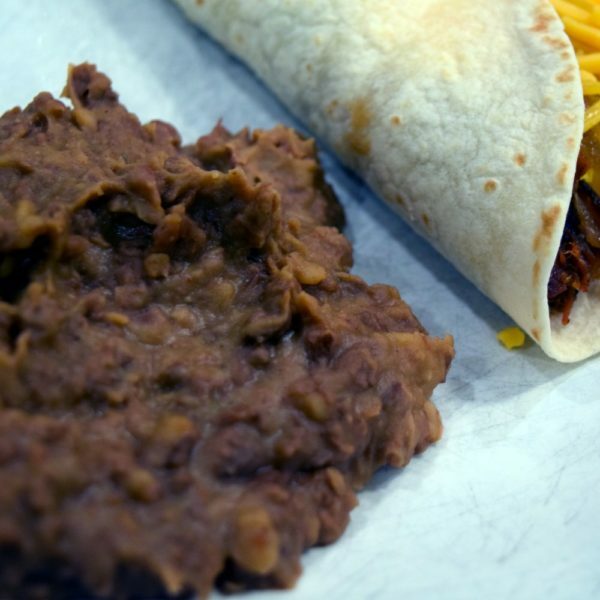 Beans are great for fiber and extra protein. 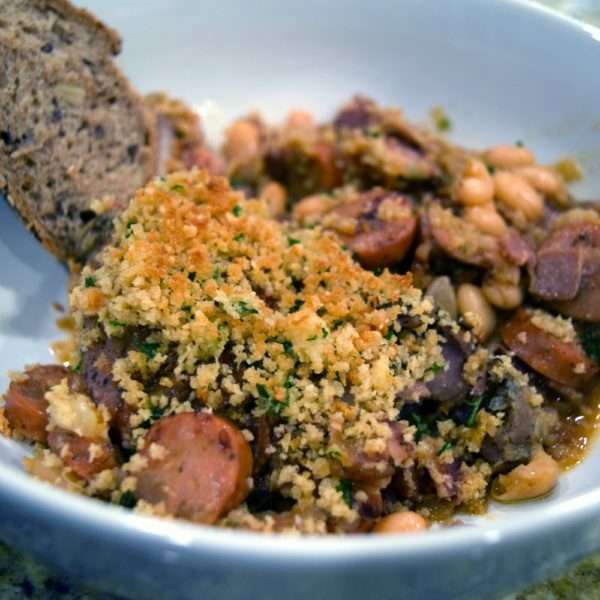 The ingredients are simple, you just need some pork jowl or pork belly, Great Northern beans, and some veggies and spices. 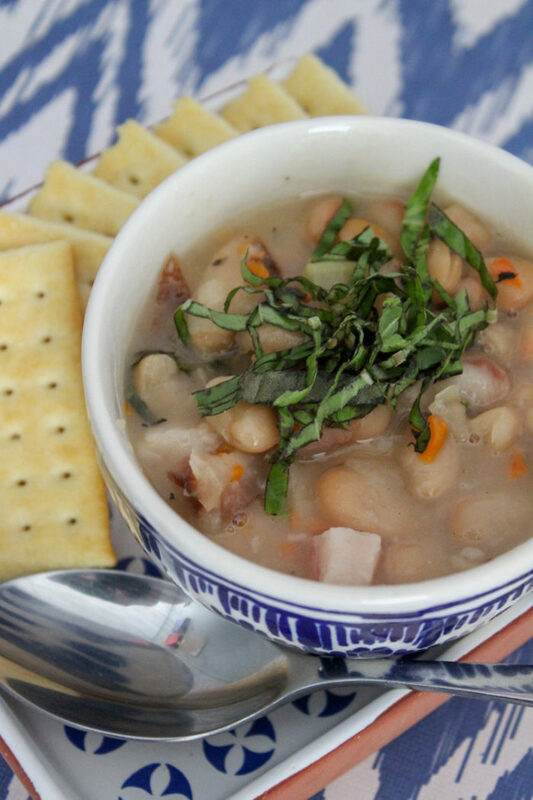 Chop the bacon into cubes and add it and the beans (including the bean brine) along with the other ingredients to the Instant Pot. If you prefer, you can use ham hock in place of the bacon. Use just enough liquid to reach the top of the ingredients. You can also use chicken or vegetable stock instead of water for more flavor. Use the chili setting or cook on manual for 35 minutes. 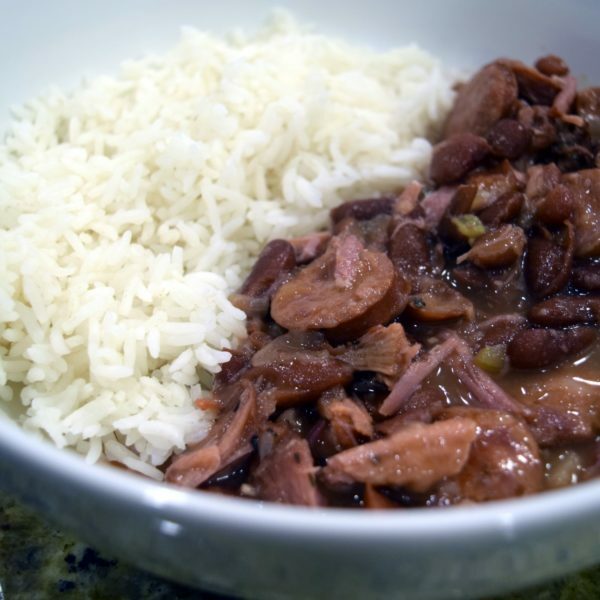 You can try as short as 18 minutes, but the longer cooking time will yield the best flavor. Serve with crackers or cornbread. Enjoy! 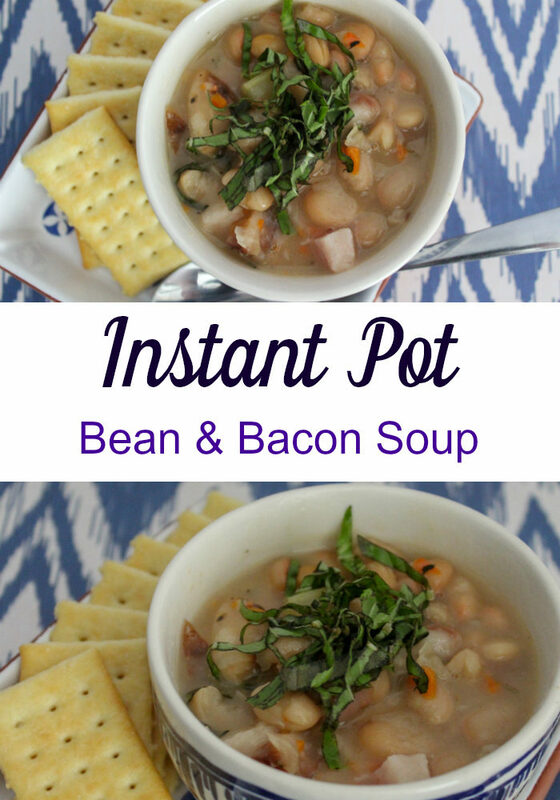 Easy Instant Pot Bean and Bacon Soup. A great comfort food! Dice the carrot, celery, and onion and add to the Instant Pot. 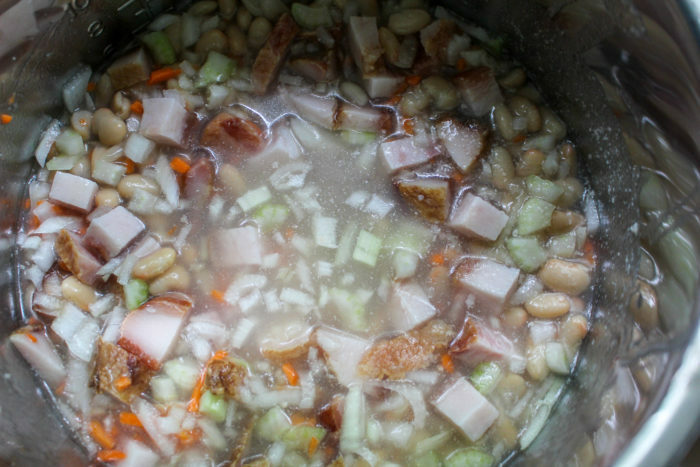 Empty the entire jar of beans into the pot (including the brine) over the veggies. 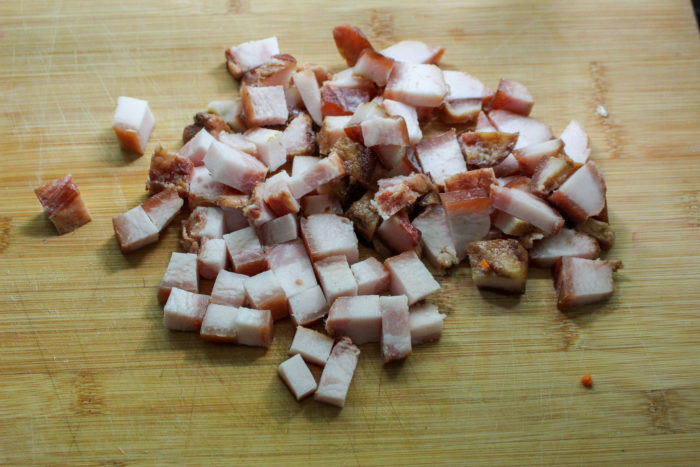 Cut the Jowl Bacon to bit size pieces and add to the pot. Pour 1-1 ½ cups water or broth, just enough to barely cover the ingredients. Season with salt, pepper, and 1 ½ tsp each garlic powder and onion powder. Stir to mix. 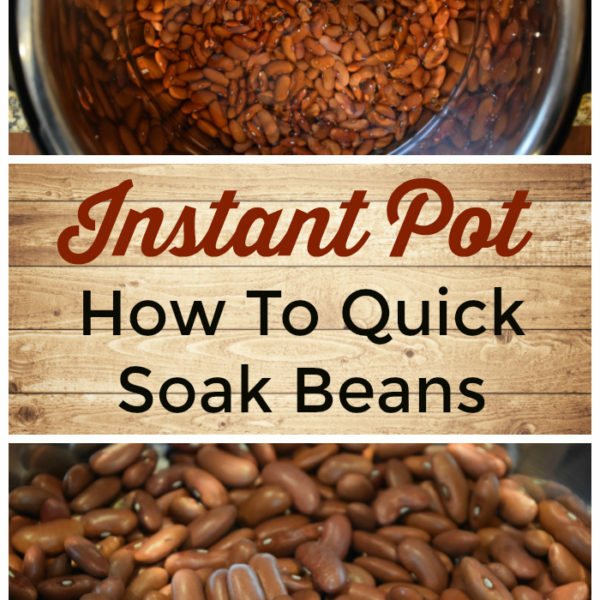 Seal the lid and set the Instant Pot setting to Chili - 35 mins. Once done release the pressure valve. Once the pressure is all out, serve. Enjoy!